I am so excited about this beautiful Fall subway art printable from the extremely talented Kristin over at The Simple Perks. Be sure to check out her fabulous Etsy shop, because it is FILLED with fabulous prints that you are going to want to use to decorate you home for all of the upcoming holidays! Fall has always been my favorite season. Spring does rival it, and, truth be told, based on weather alone I think that Spring would win, but Fall . . . . Fall just has something magical about it. I love the holidays, I love the leaves, I love the pumpkins, I love the sweaters, I love the boots, and I love the crisp, cool air. I love it all. I have been resisting the idea of summer coming to a close, but next week my boy starts kindergarten and my girl starts pre-preschool, and I think we are all finally ready for the next season. Bring on Fall! I printed out this printable and now I just need to buy a frame for it. Will you be using it to put together a simple mantel as well? Download the free Fall Subway Art Printable HERE. 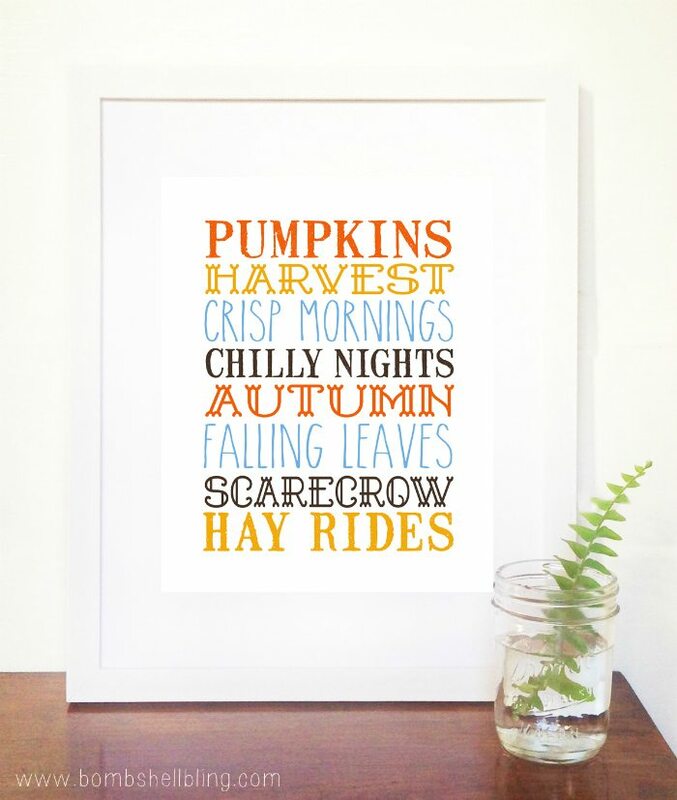 She also has a lovely Fall word collage printable in her shop. She is so talented! SUCH a pretty printable! ADORE!! Featured + pinned.